Tom Calvert is a visionary scientist, educator, administrator, and a Canadian Digital Media Pioneer. Throughout a long and distinguished career, Professor Tom Calvert has exemplified the spirit of a true digital pioneer. As one of the founding fathers of computer graphics and human-computer interaction research in Canada, his work sits at the interfaces between engineering, computing science, human performance, art, and social science. From academia to industry, he has been exceptional in his ability to connect people and ideas, and his devotion to exploring how technology might improve human activities across a variety of educational, artistic, and health-related fields. Tom is a true “Renaissance man.” In 45 years at Simon Fraser University, he was – and remains – the only professor to hold a full appointment in three schools: Computing Science, Kinesiology, and Engineering Science, an academic program for which he was one of two co-founders. He was instrumental in the development of science and technology organizations in British Columbia: he served as President of the Science Council of British Columbia; he oversaw the creation of organizations such as the B.C. Software Productivity Centre and he served on many external boards and committees, including Science World, TRIUMF, Discovery Foundation, IBM Centre for Advanced Studies, B.C. Advanced Systems Institute, National Wireless Communication Research Foundation and the Manning Foundation. He was a co-founder of the TeleLearning NCE, SFU’s first hosted Network of Centres of Excellence, and one of the first NCEs to successfully bring together researchers from science and engineering with researchers from the social sciences and humanities to address issues important for Canada through the deployment of digital media technology. As a researcher, Tom has inspired and guided foundational work in animation, user interfaces, educational and learning technologies, visualization, and tools for performance, composition, and artistic creation. A strong entrepreneurial spirit led to academic-industrial projects and spin-offs founded by students and collaborators in character animation and VR, movement choreography and notation, and educational technology. His impact extends well beyond his personal body of work: he is a motivator and a champion of people who seek to push the envelope of digital media. He has been a strong mentor and a true statesman in creating opportunities for people to pursue their vision: working to ensure that funding, collaborators and structures existed to support others exploring those opportunities. Distinguishing his career from other notable Canadian academics is Tom’s ongoing commitment to interdisciplinary work. Throughout his career, he has consistently pushed the boundaries of university teaching, administration, and research to recognize and enrich the evolving landscape of digital technologies. For many years, he has been a true champion of art-technology partnerships in research and in practice. His directorship of the graphics and multimedia lab at SFU fostered open dialogue and novel research collaborations among dancers, computer scientists, and kinesiologists that culminated in a digital media start up, Credo Interactive, and a revolutionary choreography tool called Life Forms™ | Dance Forms™ that was used by Merce Cunningham, one of the fathers of American modern dance. Tom’s vision for art and technology partnerships motivated perhaps his most enduring legacy. Before retiring from SFU in 2000, he co-founded and nurtured an ambitious interdisciplinary educational institution dedicated to integrating art, media, science and technology that eventually became SFU’s School of Interactive Arts + Technology (SIAT) in 2002. SIAT was a bold step in education and research on human-centred technologies. Its novel curriculum is a mix of art, design, psychology, digital media and computer science. Tom had a leadership role in the creation of the professional Masters of Digital Media Program at the cross-institutional Centre for Digital media (SFU, UBC, ECUA+D and BCIT). The programs at SIAT and CDM have enlarged and enriched the landscape of digital media in Canada. Tom’s leadership and vision helped craft and transform the landscape of art and technology partnerships in his 45 years of service to Canadian education, research, and innovation. Born and raised in the U.K., Thomas W. G. Calvert earned a bachelor’s degree in electrical engineering from University College, London, in 1957. He then worked as an instrumentation engineer at the Metals Division of ICI Ltd. in the U.K. and Canadair Ltd. in Montreal from 1957-1961, after which he was a Lecturer at the Western Ontario Institute of Technology from 1961 to 1964. He earned a high school teaching certificate from the Ontario College of Education (now OISE, part of the University of Toronto) in 1963. He earned a master’s degree in electrical engineering at Wayne State University in 1964 and then worked in the department as an Instructor for one year. He earned a doctorate in electrical engineering from Carnegie-Mellon University in 1967, and was an Assistant and then an Associate Professor of Electrical Engineering at CMU for five years before becoming a faculty member at Simon Fraser University in 1972, with appointments in the School of Computing Science, the School of Engineering Science, and the Department of Kinesiology. Tom served in many leadership positions during his time at Simon Fraser. He was chair of the Department of Kinesiology for two years starting in 1975 and then was Dean of the Faculty of Interdisciplinary Studies from 1977 to 1985, after which he took on the role of Vice President for Research and Information Systems until 1990, when he was granted a leave of absence to become the President of the Science Council of British Columbia. In 1993, he took on the role of Director of the Centre for Systems Science at SFU until he became the Co-leader of the TeleLearning Network of Centres of Excellence from 1996 and Director of Technology in 1999, a position he held until 2002. 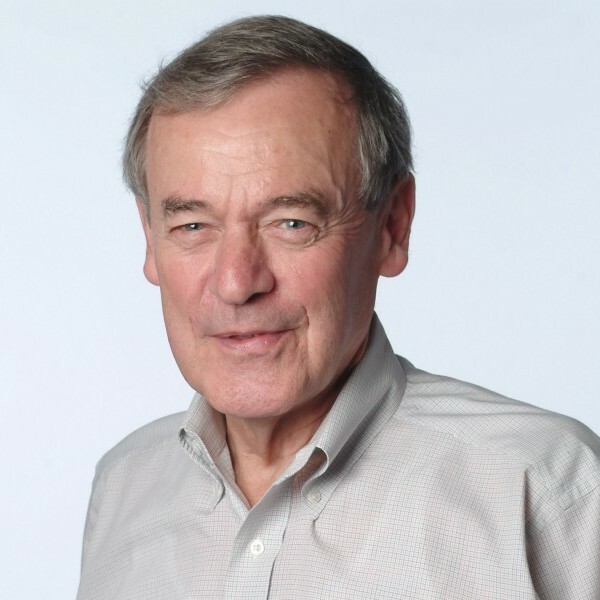 Before retiring in 2000 from SFU Burnaby as Professor Emeritus, Tom served as VP Research and External Affairs for the newly formed Technical University of British Columbia from 1997 to 2002 and from 1999 to 2002 he also served as President and CEO of TechBC Corporation. When TechBC became the School of Interactive Arts + Technology at SFU Surrey in 2002, Tom served as Acting Director until 2004, after which he continued his research and teaching there as Professor Emeritus. In addition to his many academic roles, Tom was Founder and Director of Credo Interactive Inc., a successor to Kinetic Effects Research Inc., an SFU spin-off company formed to commercialize his research on dance and choreography. He was VP Software from 2004 to 2006, after which he has continued to serve as President and CEO. He was a member of the Natural Sciences and Engineering Research Council from 2000 to 2006 and was a member of the Manning Innovation Awards Selection Committee from 1995 to 2009. He is a member of the Board of Examiners of the Association of Professional Engineers and Geoscientists of British Columbia (APEGBC), IEEE, ACM, and Sigma Xi. He received a Meritorious Achievement Award from APEGBC in 1993, a Xerox Canada Forum Award for furthering corporate-university cooperation in 1995, the Science Council of BC Chairman’s Award for Career Achievement in 1997, and the CHCCS Achievement Award in 2006. He was elected a Fellow of the Canadian Academy of Engineering in 1998.